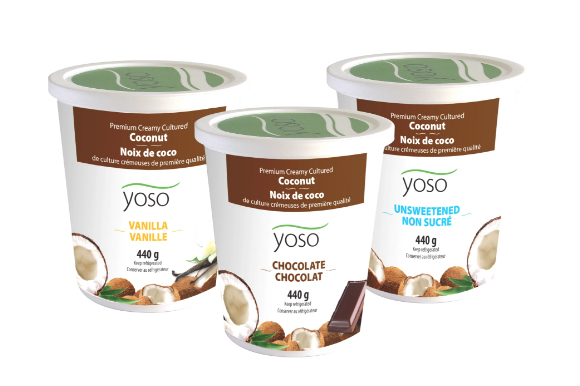 Yoso makes delicious non-dairy yogurts, both soy and coconut based. We're proud to have been selected as Yoso's agency, working on everything from packaging to marketing strategy and execution. All of Yoso’s products are made in a facility that is gluten-free, wheat-free, dairy-free, egg-free, peanut-free, preservative-free, carrageenan-free, casein-free, and vegan. Their soy based products are made from local grown organic soy­beans grown in Southwestern Ontario that are fer­mented and cul­tured. Their coconut based products are made from pure organic coconut.